In spite of widespread concerns among Americans about outliving their retirement savings, the Baby Boomer generation and older, retired investors are positive and optimistic about their retirement, according to a new survey of investors age 50 and older with $100,000 or more in investable assets. 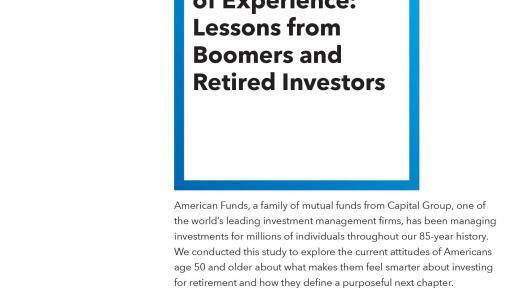 “The Wisdom of Experience” survey released today by American Funds, a family of mutual funds from Capital Group, one of the world’s leading investment management firms, also found that – far from being tempted to chase fast returns or the latest hot stock – these investors feel smartest when sticking to a long-term investment strategy. 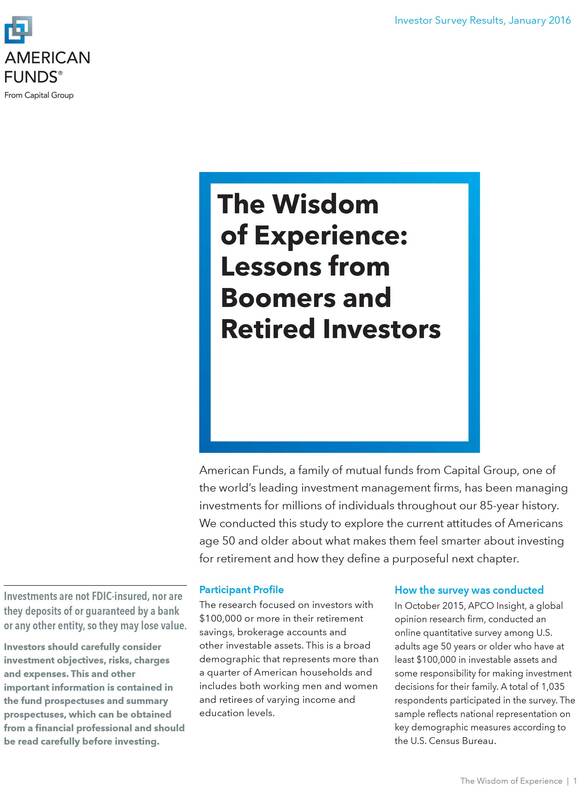 “We wanted to understand what makes investors who are closer to or in retirement feel smarter about investing and how they define a purposeful next chapter,” said Pete Thatch, senior vice president, Director of Wealth Management. 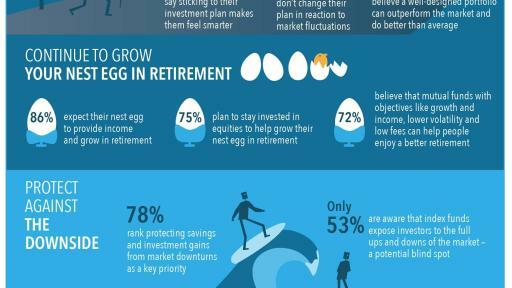 Survey participants have high expectations of their nest egg: 86% expect their savings to generate income and even grow in retirement. 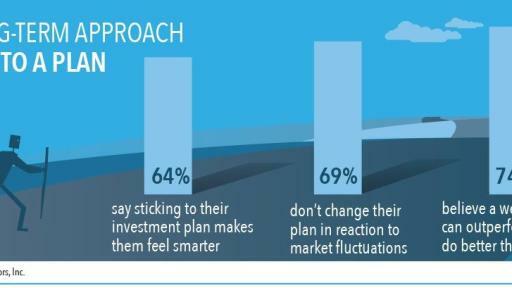 To achieve this, 69% say they do not change their plans when the market fluctuates, and 64% say sticking with their investment strategy makes them feel smarter as an investor. They have their priorities straight: A mere 4% said that picking a hot stock or market sector makes them feel like a smarter investor. 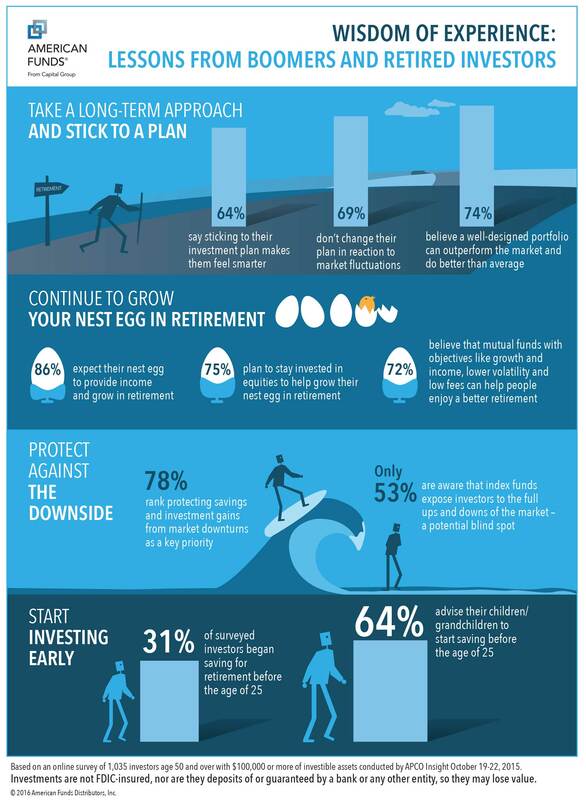 When it comes to investing to generate income for a long retirement, 75% plan to stay invested in equities and 74% also believe the right mutual funds can outpace the market and do better than average. Seventy-two percent also say mutual funds with objectives such as growth and income, lower volatility and low fees can help people live better and enjoy their active retirement years. When it comes to advising the next generation, most respondents tell their children and grandchildren to start saving for retirement earlier than they did. 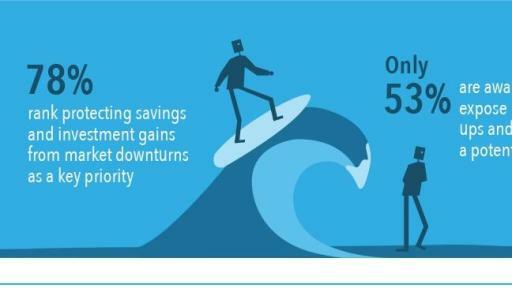 Sixty-four percent advise starting saving before the age of 25 and only 10% say they should start after the age of 30. 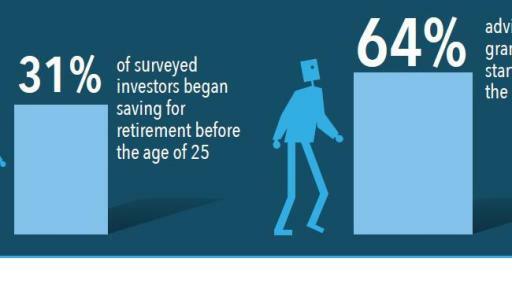 By comparison, only 31% of surveyed investors began saving for their own retirement before the age of 25, and 42% began after the age of 30. The survey data also reveal a less confident, but still optimistic outlook among the Boomer generation still in the workforce. For example, only half of non-retirees expect to have more retirement income than their parents did compared to 70% for older, retired investors. Three-in-ten (29%) of these non-retirees plan to continue to work part-time to fund a more active semi-retirement, regardless of whether or not they expect to have more retirement income than their parents did. Nevertheless, these investors are an optimistic bunch. A clear majority say they are or expect to feel “satisfied” or “relaxed” in retirement. Interestingly the optimism remained consistent across gender, age and asset level. Less than one in twenty of those surveyed expressed negative feelings about their retirement such as dissatisfaction, boredom or regret. Survey respondents define the next chapter of their lives in different ways. When asked what they would like to have “enough for” in retirement, over half count travel as a top priority, with 58% saying they would like to have enough for an annual vacation to a resort or for site-seeing and 56% saying they would like to travel the world. Other aspirations include donating a meaningful amount to charity each year (35%), helping fund their grandchildren's education (25%) and endowing a scholarship for someone not related to themselves (6%). 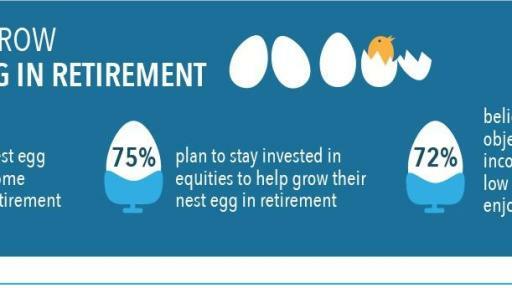 Some 90% of those surveyed say their retirement lifestyle will not be like that of their parents. Yet current retirees and those 50 years of age and older still working have diverging expectations. 49% of retired investors retired earlier than their parents did, while only 25% of investors still in the workforce expect to retire earlier than their parents. 70% of retirees say they have more retirement income than their parents but only 51% of those still in the workforce expect this. 29% of those in the workforce expect to work part-time to fund a semi-retirement, while 10% expect to start a new career and 7% say they will start a business.